Writing is a fundamental part of learning, and Battle Ground Public Schools is taking steps to make sure its writing education will prepare students for careers and college. More than 80 K-8 teachers were trained last week by Lauren Kolbeck, a consultant from the Reading and Writing Project at Columbia University Teachers College, on how to teach the district's new writing curriculum to students. The consultant, who is one of the authors of the curriculum, spoke about the writing materials, the philosophy behind them, and the teaching practices that will enable BGPS teachers to effectively incorporate the curriculum into their lessons. 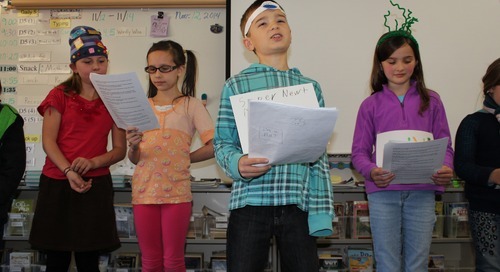 "I now have a much clearer idea of how to implement this curriculum," said Kristie Glock, a Pleasant Valley Primary third grade teacher who took the training. "It was valuable to see all the resources that are available. The training fueled my passion for teaching writing." Each of the BGPS teacher leaders took a full day of training on the district's new K-8 writing curriculum, called Units of Study in Opinion/Argument, Information, and Narrative Writing. 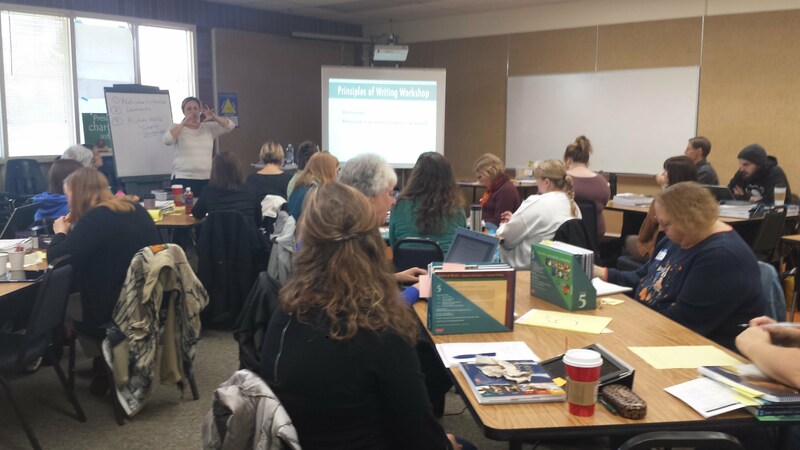 This training is the first stage in a two-year, K-12 implementation plan that will result in a consistent curriculum and teaching method across all grade levels that is focused on 21st century writing skills and meets new Washington State Learning Standards. 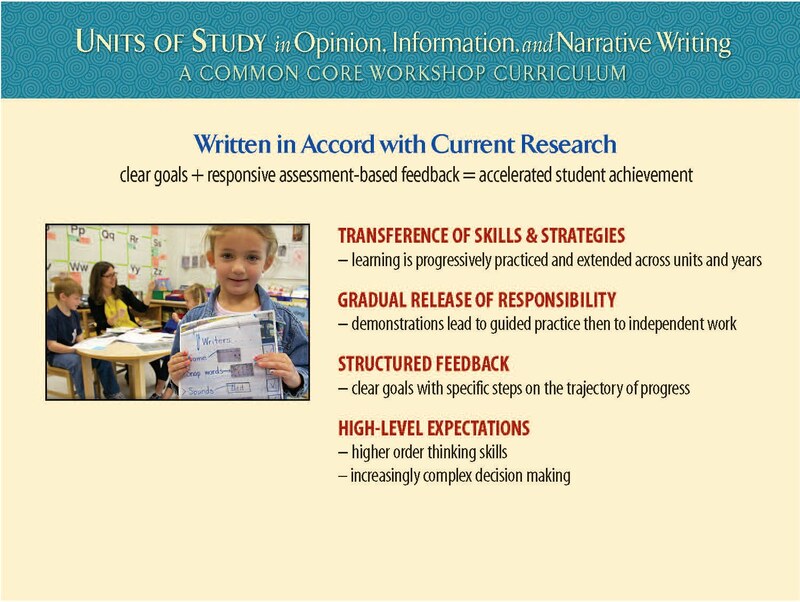 The Units of Study writing curriculum builds on the writing skills that students learn at each grade level to create a consistent continuum of writing education. 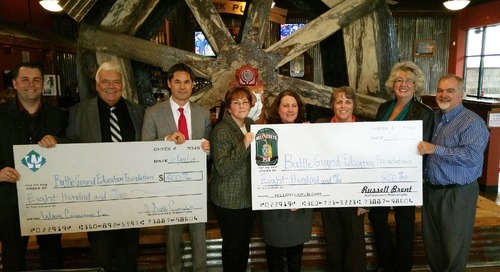 "This will enable our students to build on the skills they learn in each grade level and give them a common vocabulary that is consistent from year to year," said Paula Koehler-Martin, Battle Ground Public Schools' executive director of curriculum, instruction and professional development. In BGPS' high schools, the new curriculum is called Come to Class: Lessons for High School Writers and provides a continuation of the skills found in the K-8 Units of Study curriculum. A consistent, skills-building curriculum also will give district teachers the ability to monitor student progress as they advance to the next grade level. "The new curriculum will enable teachers to analyze student work and share results through collaboration in professional learning communities," Koehler-Martin continued. "Teachers will benefit by knowing what is expected of their students each year and in knowing which writing skills their students would have learned before they get to their classrooms." BGPS is taking a phased approach to rolling out the new curriculum. This year, a representative teacher at every grade level from each school attended the Reading and Writing Project training, and will be able to answer questions from other teachers within their professional learning communities as they familiarize themselves with the new material. Next year, teachers will use the entire writing curriculum; but not just in English classes. 21st century career and college readiness guidelines emphasize the need for students to be able to write well in all subjects and in all situations. The district is exploring options for providing training to teachers across the district, not just those specifically focused on English language arts subjects. "Everyone is a writing teacher," Koehler-Martin said. "In the new learning standards, more emphasis is put on writing for career and college readiness." Options for district-wide training on the new K-8 writing curriculum materials include after-school workshops and summer classes. The possibility also exists to collaborate on training with Evergreen Public Schools, which also has selected the writing curriculum. The BGPS Board of Directors approved the Units of Study and Come to Class curricula at its July 2014 meeting based on a committee recommendation. The committee used research on writing instruction to create a rubric that identified the components of an effective writing curriculum. Then the committee evaluated various writing curricula against the rubric and made a recommendation to the BGPS Board of Directors. Information, writing samples and rubrics for K-8 from the curriculum: Units of Study in Opinion/Argument, Information, and Narrative Writing are online.